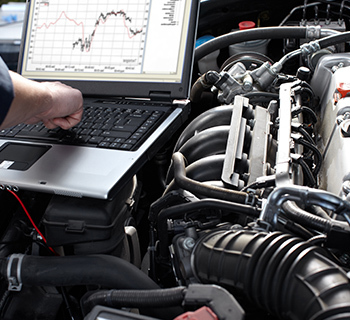 From routine maintenance to major and minor repairs, Ebner’s Auto Inc. provides your vehicle with the services it needs to function properly. Our ASE-certified team specializes in oil changes, brakes, tune-ups, air conditioning, engine lights, engine and transmission repairs, and so much more! We strive for prompt results and quality workmanship. Schedule a service appointment today and see why drivers have kept coming back to us for decades. Your car is made up of thousands of parts and pieces that work together to drive you. If even one of these parts fails, your entire vehicle is likely to suffer. A damaged fuel pump can stop your engine in its tracks, just like bald tires can affect your car’s handling or fuel economy. To make sure your vehicle isn’t suffering from problems big and small, it’s smart to put your trust in a qualified mechanic in Ambler, PA for routine maintenance and other automotive services. And, when you choose Ebner’s Auto Inc., you can rest assured you’re getting only the best service from qualified technicians. When it comes to car repair in Ambler, PA, there’s not much we can’t do! Over the past 25 years we’ve handled everything from brakes and oil changes, to engine and transmission work, to suspension and electrical items. We pay close attention to all of your car’s parts, to ensure nothing is overlooked. Count on us to pinpoint problems and fix them thoroughly, saving you the headache and frustration that comes with bigger issues. 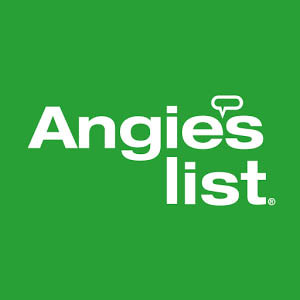 We’re dedicated to getting the job done right and earning the trust of our customers. We want to be the shop you rely on for as long as you own your car, and for the next one you own after that! Next time you need repairs or maintenance, schedule an appointment with us and experience the very best in automotive services. Our shop employs ASE certified technicians, as well as a GM Certified Master Technician. Expect nothing less than excellence from our crew! We’ve been delivering service to area vehicles for more than 25 years and put the integrity of our work above all else. Count on us to use only the best auto parts, from trusted brand names like NAPA, Walker and Interstate. 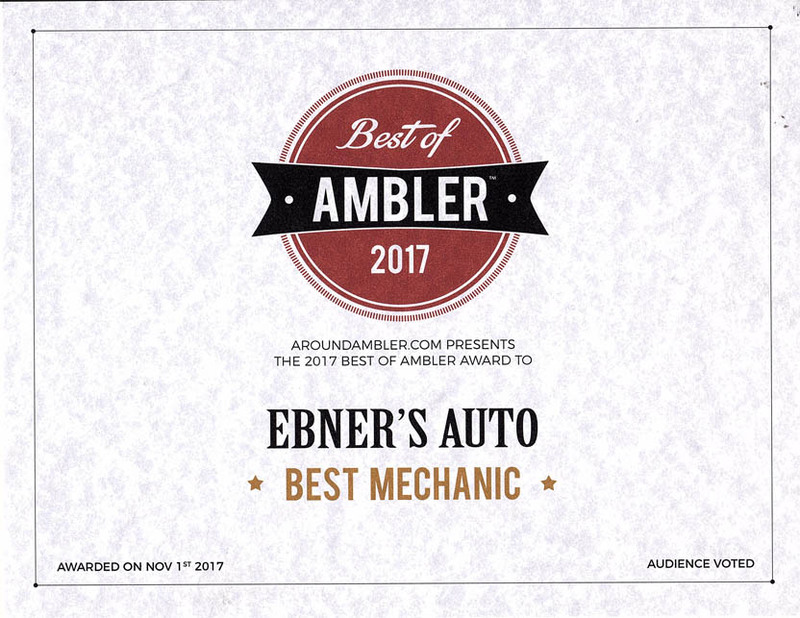 Our shop is the proud recipient of excellence awards, including Around Ambler’s Best of Ambler 2017 award. 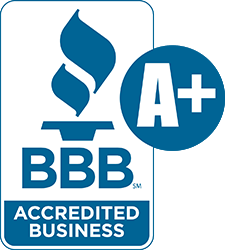 We’re a locally-owned, community-focused business that maintains a superior A-plus rating with the Better Business Bureau. Whether new brakes or engine work is on the docket, trust Ebner’s Auto Inc. to provide your vehicle with the solutions it needs to run right. Contact us today to schedule an appointment. 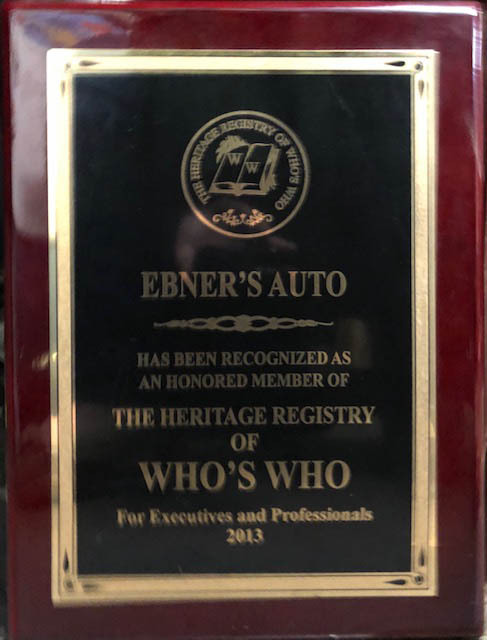 "I went to Ebner's for years and they always took great care of all our cars. They know what they are doing, and most importantly, you can tr..."
"My 1993 Ford F150, 2003 Toyota Corolla and my 2013 Honda Accord have all been serviced my Ebners. Great costumer service. Great work. Great ..."
"Tim is one of the only two mechanics I trust most w my car. Before today, I only trusted one- but Tim now is def my go to guy!! Ty Tim!!"